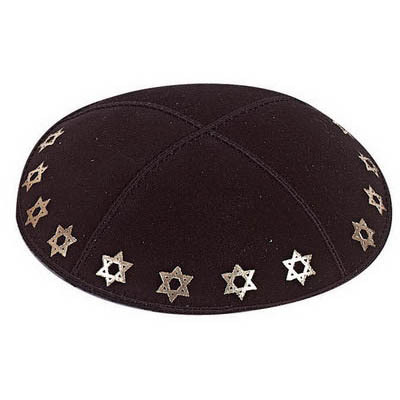 This Yarmulke Is Made From Genuine Suede And Has Stars Of David Embossed On It In Either Gold Or Silver Foil. You Can Select From Either Black Or Navy Suede. This Star Yarmulke is very nice. The price is very low. Fits very nicely. Love the products I ordered!